I thought I'd post the complete list of Immersive Edge machinima from Nina Camplin. I will add the remaining scenes here as they are made public. Nina's machinima is dramatic and compelling. Keep in mind that while the Immersive Edge movie tells the story in flash fiction narrative, there is a deeper story inside each scene. All scenes include immersive interaction between visitors and characters. You know you don't want to miss fending off crocodiles, riding the flying bed, shooting demons to set humans trapped inside free. The Tesla Tower scene was designed and built by Nara Malone, Neo Cortex, and Shannan Albright. Namaka's Journal Narrative and character dialog by Nara Malone. Chapter Two: The Wizards RetreatWizard's retreat was built by Avia Bonne with scripting help from Jessie Campbell. Gameplay, characters, dialog and Dylan's Journal narrative from Shannan Albright. Be sure to test your skill crossing the bridge of falling books. The swamp scene was designed and built by Mattie McBride, Serene Jewel, and Fred Beckhusen. Character dialog by the builders and Namaka's Journal narrative by Nara Malone. This scene is an exploration of nonhuman characters and I think it is safe to say there are more characters in this scene than any other. Surreal build from Talia Sunsong and Endora Twinklens. Characters and dialog from the builders. Dylan's Journal Narrative from Shannan Albright. The Escher house is a must-see. Fantasy and faeries from Sunbeam Magic with scripting help from Jessie Campbell, Fred Beckhusen, Neo Crotex and Aine Caoimhe. 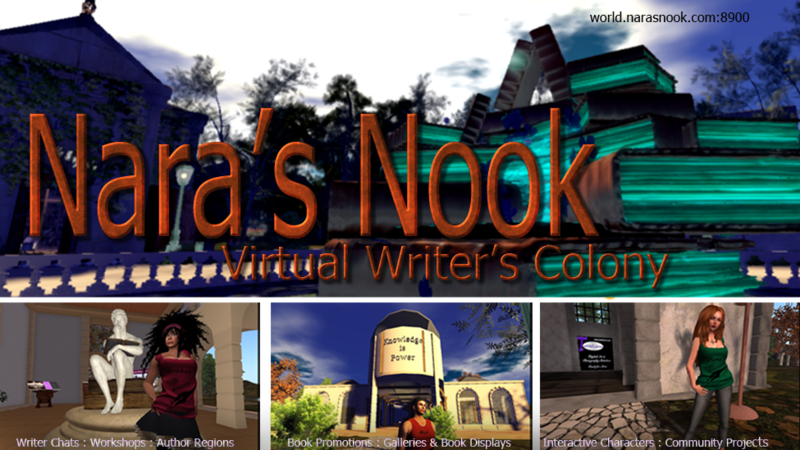 Namaka's Journal narrative from Nara Malone and character dialog from Sunbeam Magic. This is a build that feeds the soul. Be sure an ride that flying bed. Praline B and Cherry Manga were tasked with taking us through the dark night of the soul. Four levels of emotional and artistic brilliance await. The emotion HUDs put you inside the character viewpoint. Namaka's Journal narrative by Nara Malone. Scene dialogue by Cherry Manga and Praline B. Don't miss riding the keys. Aine Caoimhe made a refuge for our characters where they could rest and reflect before the final conflict. Beautiful statues have lessons hidden inside. Dylan's Journal narrative written by Shannan Albright. The Lesson dialogs were written by Aine Caoimhe. Ruby O' DeGee's build is a delight and a marvel. It includes a balloon ride and a chase across the sim through the labyrinth. Dylan's Journal narrative by Shannan Albright. Character dialog by Ruby O' DeGee. Don't miss collecting the treasures in the pirate chest. From Shin Ingen, the demon dance is the final battle before you reach the portals home to choose your future. You must set free the unmask all the demons with the laser gun to unlock the portals. It's not easy, but you won't want to stop until you've done it. There are three portals to choose from after the demons are conquered. You choose the ending you want for Namaka and Dylan. All the scenes above combined to to tell the story. To learn more about Immersive Edge, view walkthroughs and find details visit our website.